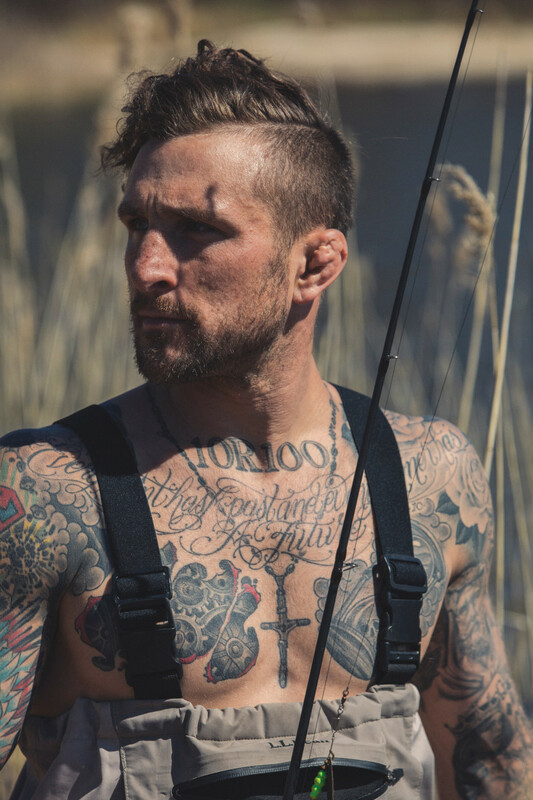 Photos by José A. Alvarado Jr.
Gregor Gillespie is the best angler in the bruising world of mixed martial arts. 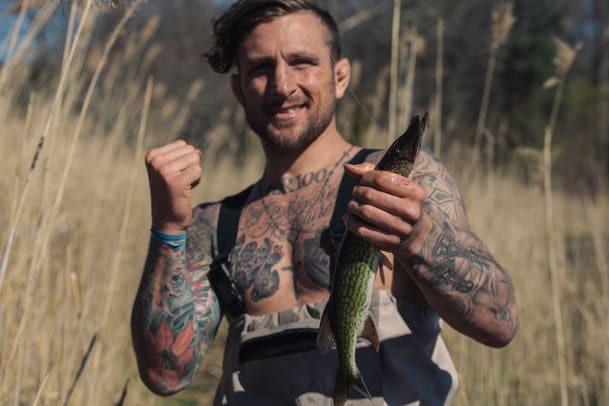 UFC star Gregor Gillespie loves to fight, but he lives to fish. Cars and trucks rumble past the pond at 40 mph. On one side is a gas station, and on the other are rows of uniform apartments. It’s not the kind of place you’d expect to meet a mixed martial arts star for an afternoon of fishing. Gregor Gillespie, followed by his friend Nick Karamoshos, makes his way to the pond with a brown bag clenched in his fist. He sits on a bench, takes a frozen yogurt out of the bag and scarfs it down, pausing only to sprinkle M&Ms on top. If you told me this is how my afternoon with a guy who punches people in the face for a living was going to start, I’d call you a liar. The snack and small talk are dealt with swiftly. 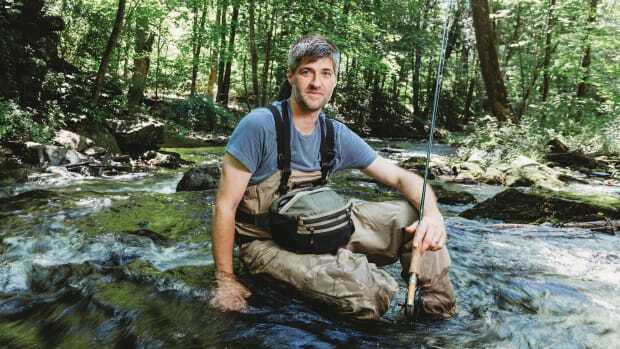 Gillespie is here to fish. 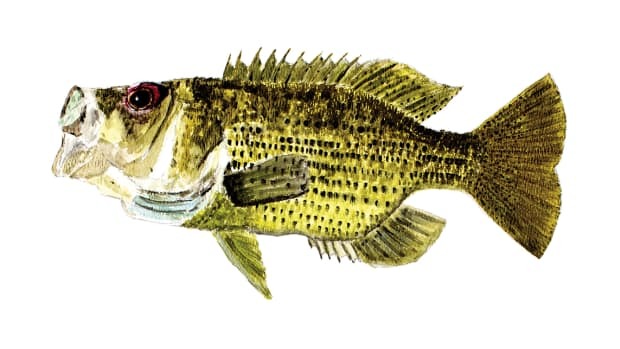 He and Karamoshos pull rods, a net and a tackle box from the car and make their way to a secluded section of the pond. 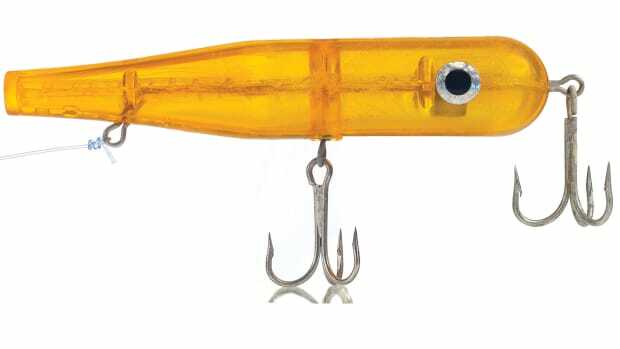 Gillespie removes new plastic lures from their packages; Karamoshos, who is 17, finds a country music station on his phone. “I tell Nick all the time about the health benefits of vitamin D,” Gillespie says, taking off his shirt. 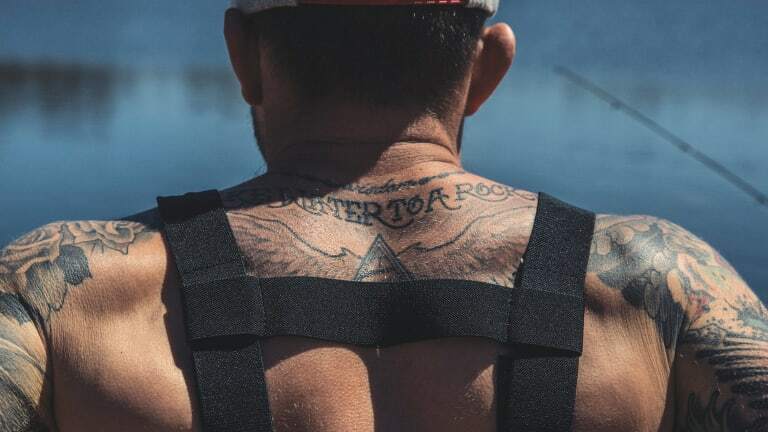 Covered in tattoos, his physique is what you’d expect from an undefeated (12-0) professional fighter who works out three times a day (except for Sunday, when he only works out once). He’s ripped. The only other six packs you’ll find around this pond are on ice in Coleman coolers. 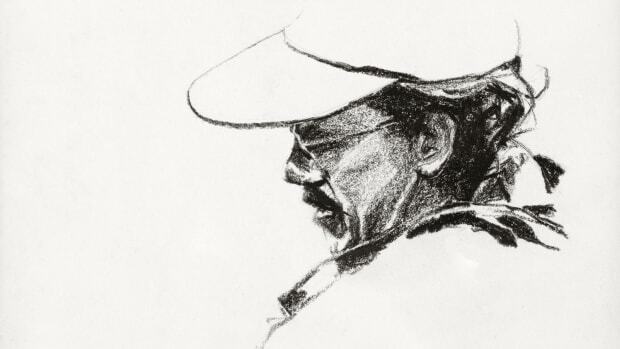 Gillespie rigs a pair of spinning and baitcasting rods and leads Karamoshos to a spot he likes to fish that’s about 20 feet from the busy road. It’s clear their relationship isn’t just that of friends; they interact like brothers. In fact, Gregor rents an apartment connected to Karamoshos’ father’s house, so they live under the same roof. The pair also have a teacher-student relationship. Gillespie, a former NCAA Division 1 champion wrestler, is a private coach to as many as 50 athletes. Nick, a top high school wrestler in New York, is one of his star athletes. 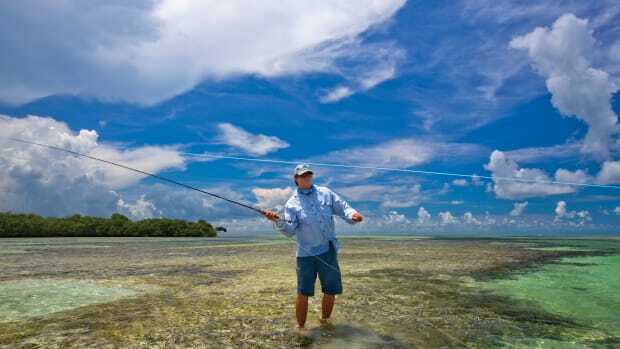 It’s the mental challenge that attracts the fighter to fishing. Gallery: The Fighter. 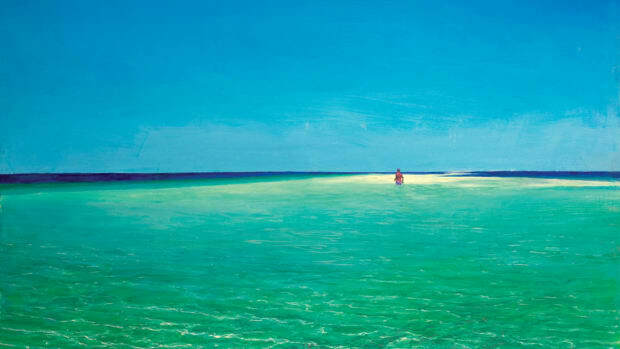 The Fisherman. “But it’s also one no one loses,” Karamoshos adds. Karamoshos lands the first bass of the day. The two pose for a picture, release the small fish and get back to business. The fighter and social media star (@Gregorthegift) who goes by #BestFishermanInMMA doesn’t want to be shown up. Fishing was put on pause as the boy in the canoe morphed into one of the country’s top wrestlers. Gillespie won two state championships for Webster High School outside Rochester, New York. Later, his relentless style of attacking made him one of Edinboro (Pennsylvania) University’s winningest wrestlers and an NCAA champion. After college, free from the structured routine of an elite athlete, Gillespie started partying. A tattoo on his neck reads “1 or 100,” which speaks to the fact that when he commits to something, he goes all in. That’s a good mantra to apply to wrestling, not so much for partying. At the urging of his coach, he entered rehab in 2010. Fishing friends. 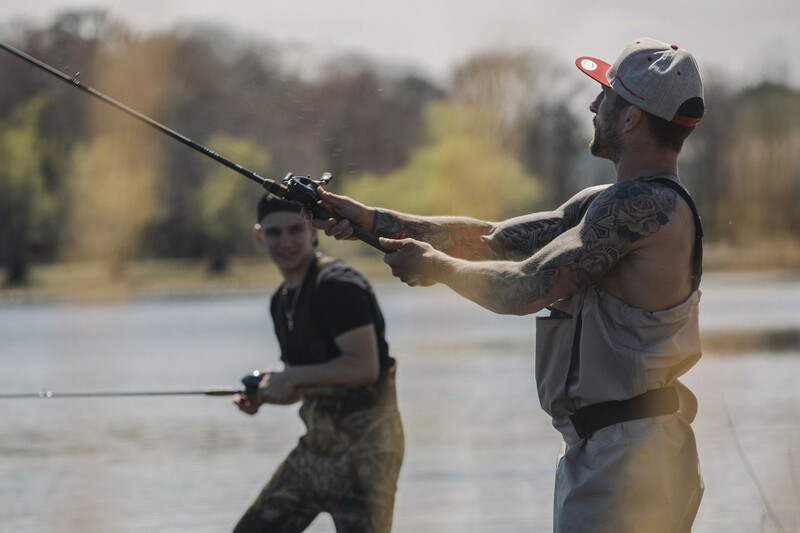 Young wrestler Nick Karamoshos and mentor Gregor Gillespie unwind on a pond. The day we met, Gillespie — who fights at 155 pounds — was six weeks from co-headlining a UFC event in Utica, New York (which he won). 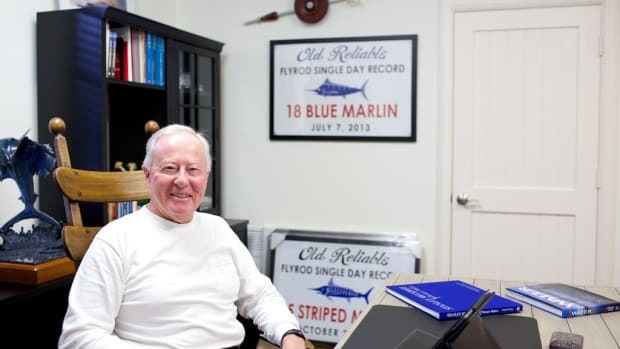 Gillespie says he abstains from fishing in the three weeks leading up to a fight to gain aggression and a competitive edge. 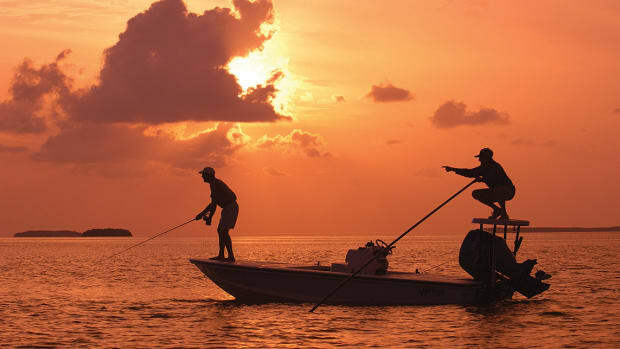 Gillespie has been known to fish all day, even if the action is slow, which makes it difficult to find fishing partners. The photographer and I look at each other, hoping it doesn’t take that long. 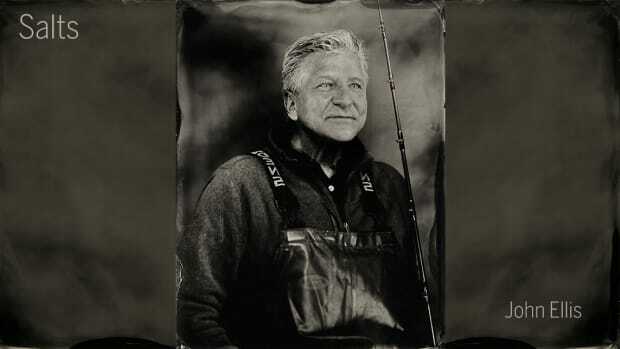 Gillespie’s rod tip dips, and the photographer scrambles into position. The fighter lifts a chain pickerel. 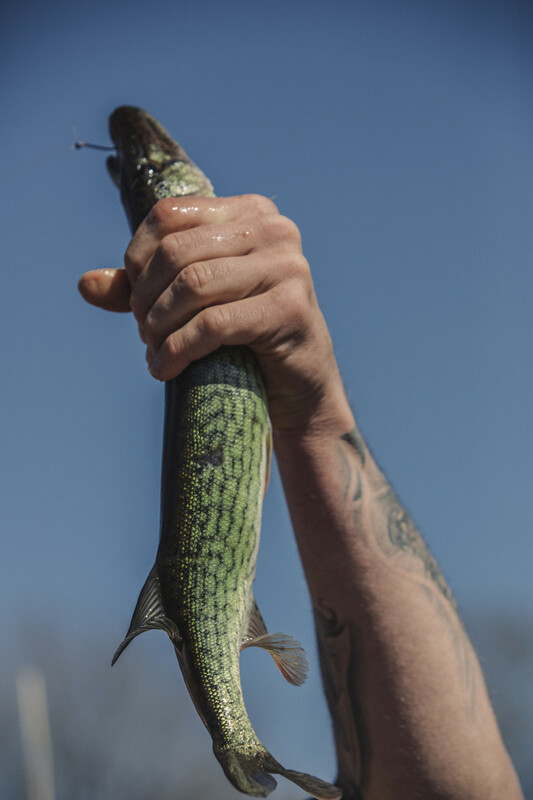 A hardened fist hoists a chain pickerel. In the Octagon, Gregor is known as “The Gift,” a nod to his natural athletic ability. 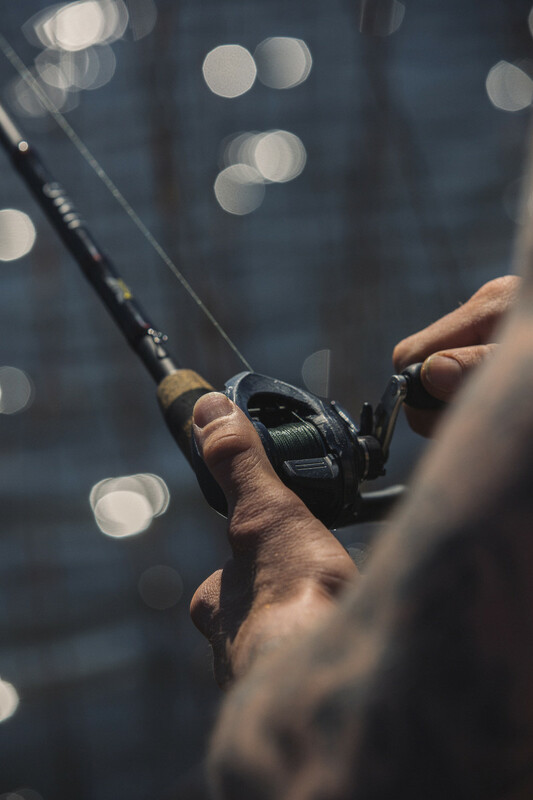 The real gift, however, might be the one thing that has brought balance to the young fighter: fishing.